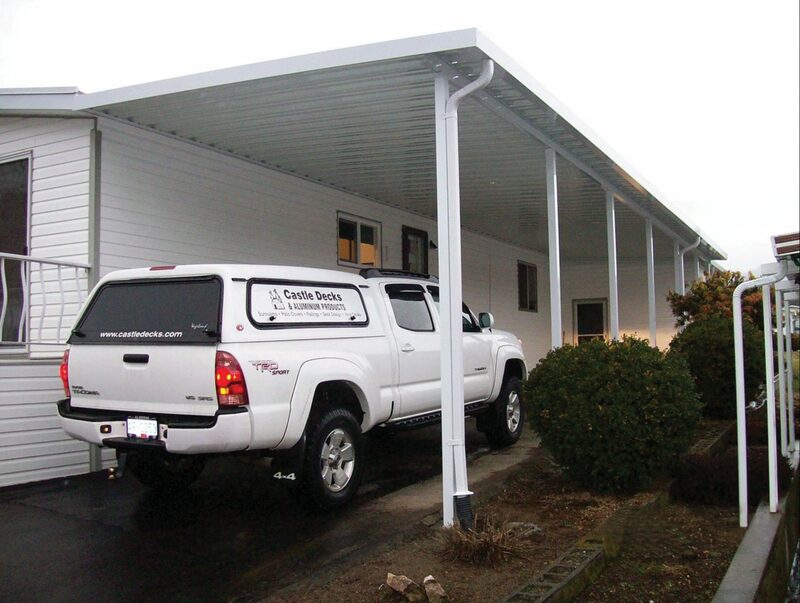 Castle Decks are the experts at installing your aluminum carport to blend seamlessly into your existing structural core. 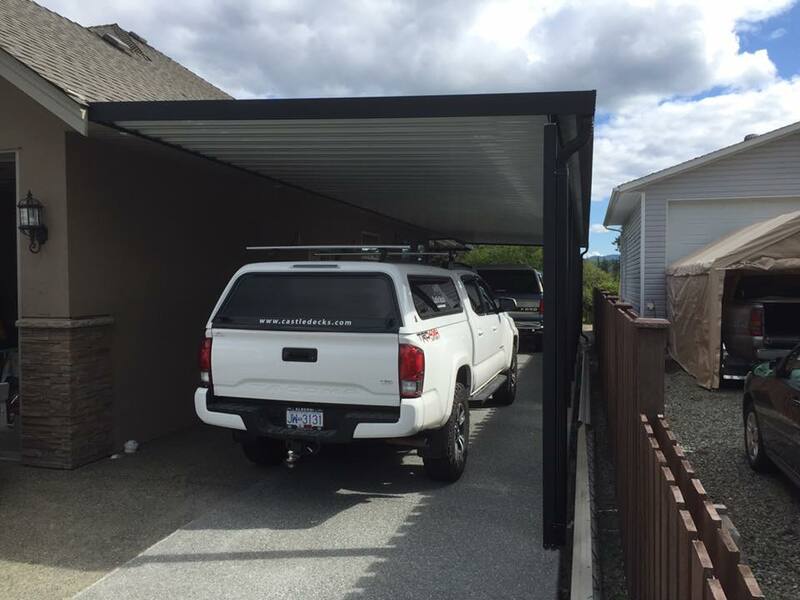 Enjoy the protection of our fully-customized carports to provide your vehicle with year-round protection from the elements. 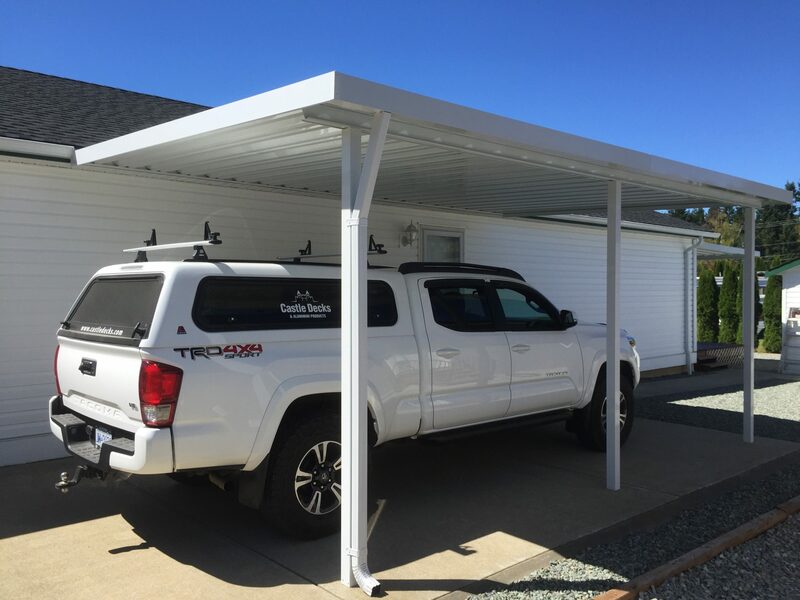 Adding the protection of a prefabricated aluminum carport to your home extends the value of your vehicles and adds value to your business or home. 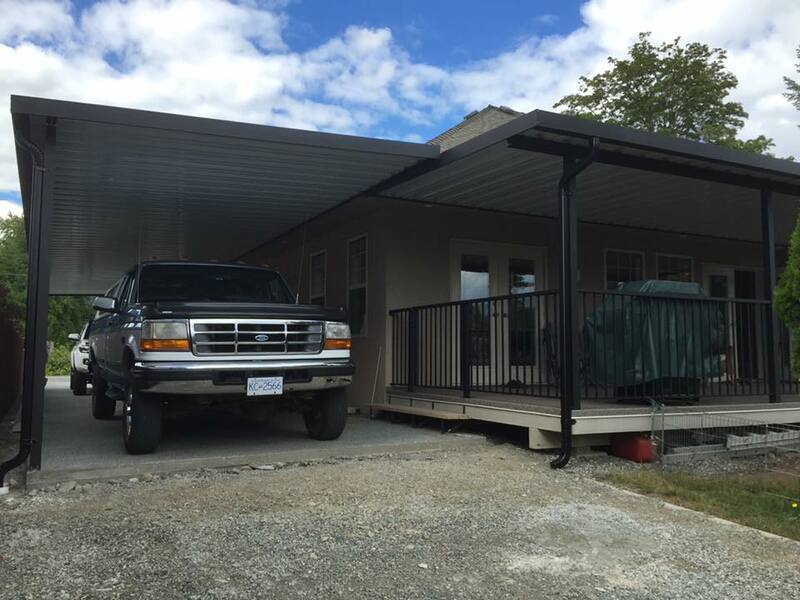 All our products are engineered & built to strict BC building codes. 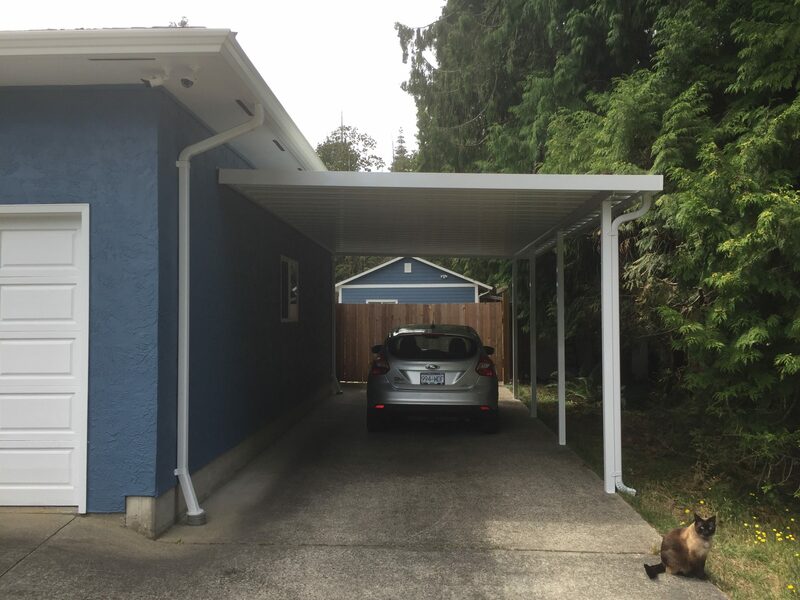 We use only high-grade aluminum to ensure your carport has long lasting structural integrity that will resist corrosion and can handle the wet coastal weather. 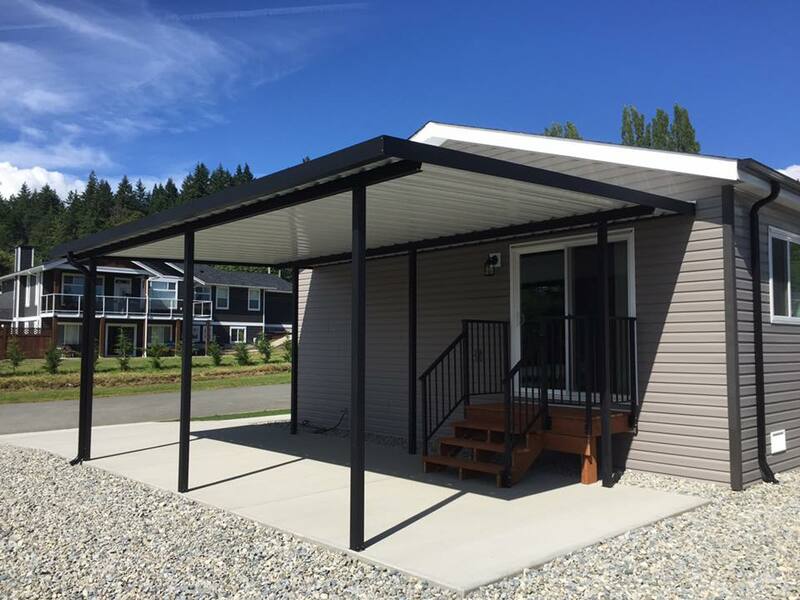 The best part is that it’s virtually maintenance free, so you have fewer chores on the list and more time to enjoy life on the island! 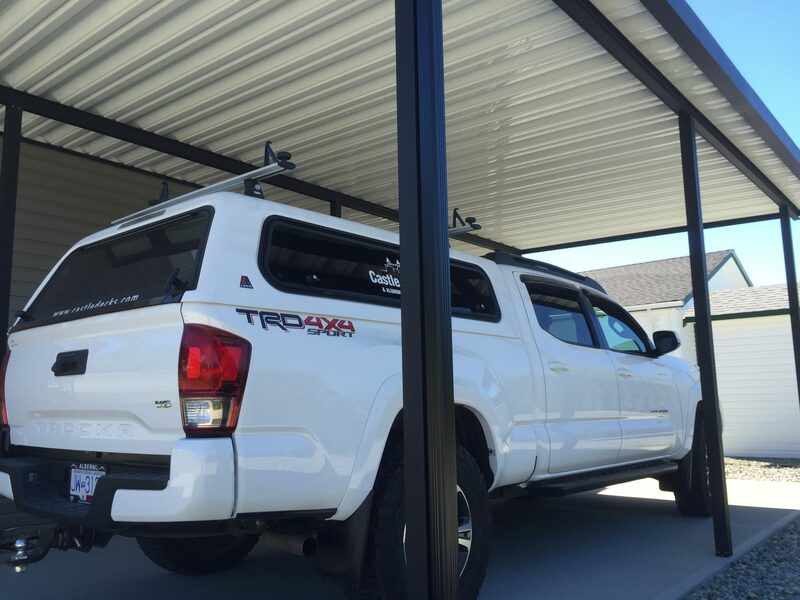 Say goodbye to the annual chore of strapping on the RV tarps or paying expensive storage fees. Take your time getting in and out of your vehicle on a rainy day and stay dry. 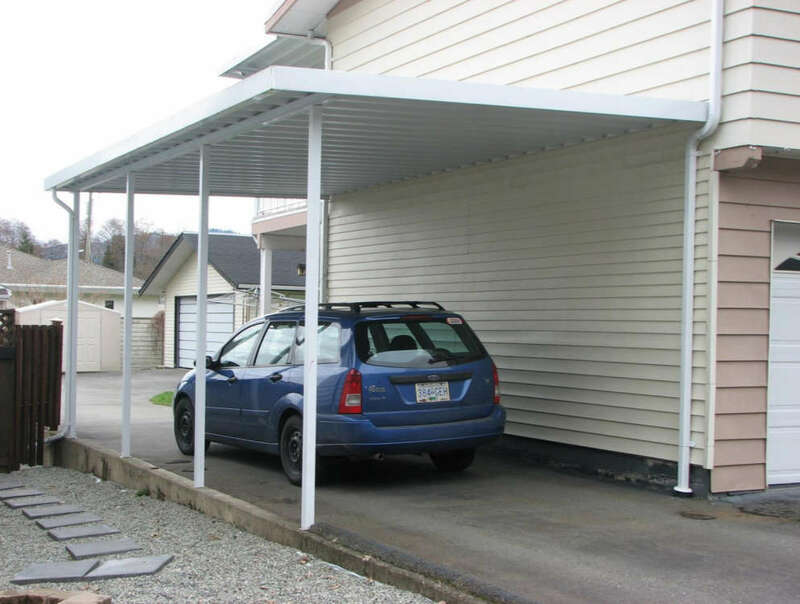 Aluminum roof extensions are also a great solution for outdoor storage or play areas. 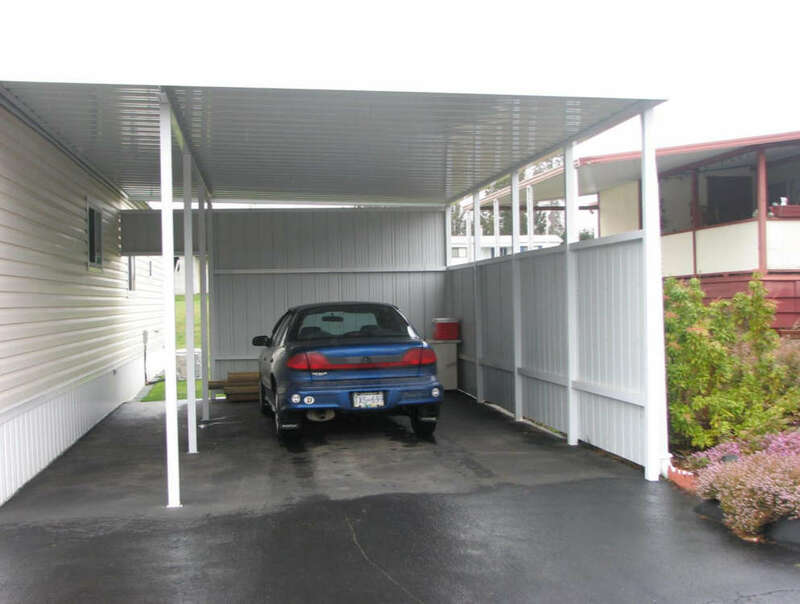 Call today for a no obligation quote. 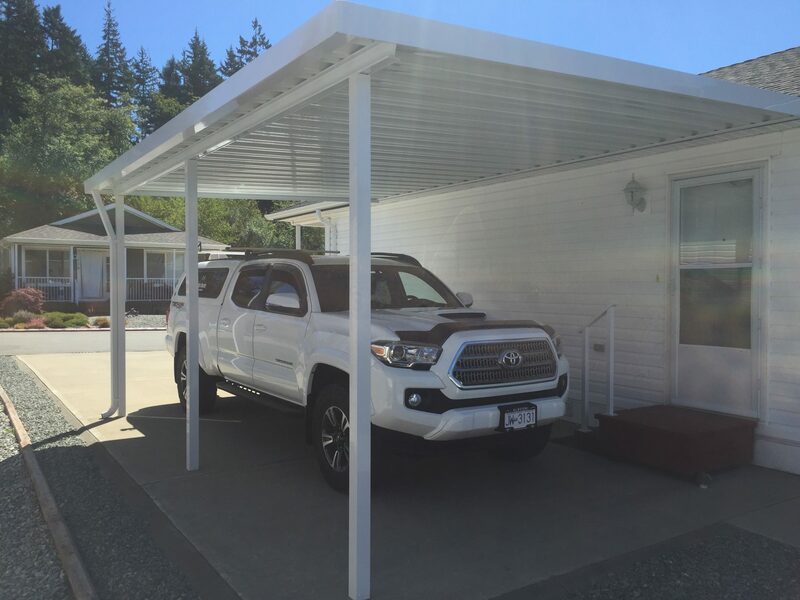 We have several styles of carports and storage options to choose from, including partial or fully enclosed designs, or roof only. 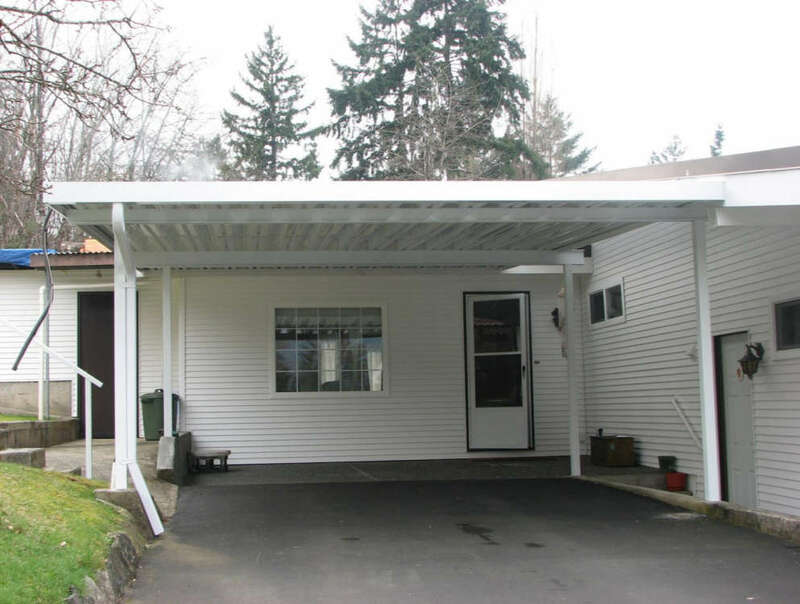 Let us know your budget and we’ll find options that will work for you. 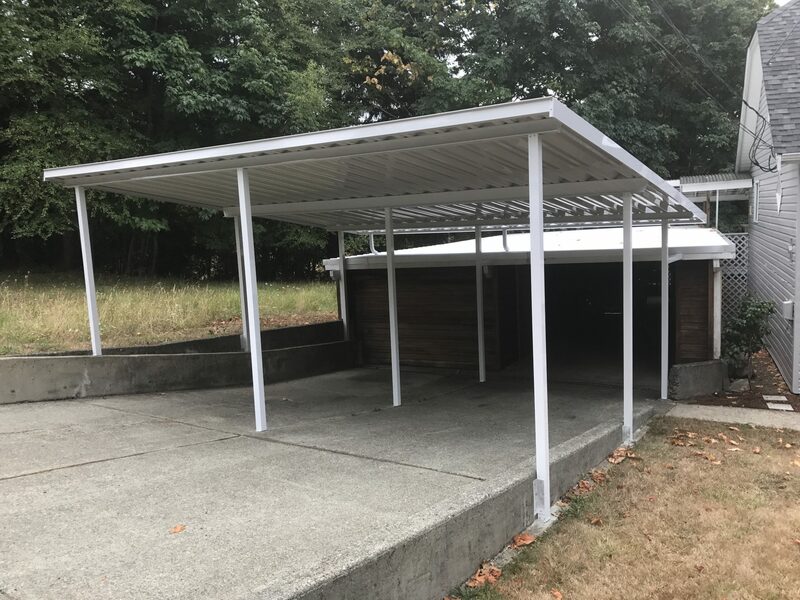 We service the communities of Port Alberni, Parksville, Qualicum Beach, Nanaimo and the west coast of Vancouver Island, British Columbia, Canada. Copyright © 2019 Castle Decks. All rights reserved. Maintenance by Better Mousetrap Marketing.